This is in continuation to my series on “Underappreciated features of SQL Server”, which is based on the editorial with the same name by Andy Warren on SQLServerCentral.com. The editorial is available here. Locking & Blocking are not new to anyone who has worked on a production SQL Server based system with as little as 200 concurrent users. Locking is essential to maintain a database’s consistency. However, whenever a process holds a lock for more than a required amount of time, it starts interfering with the normal operation of other processes on the server. This manifests into long-running queries and application timeouts. The conventional way of identifying blocking is by the use of TRACE flags 1204 and 1222. Microsoft SQL Server 2005 makes this a little bit easier by introducing a new feature called the Blocked Process Report which can help administrators monitor their servers for blocking whenever the blocking exceeds a given threshold. Explaining blocking processes and deadlocks is beyond the scope of this article. If you need help in clearing the concept, please refer the MSDN resource here. Also, please do not proceed ahead without clarity on these concepts – it will do more harm than good. A deadlock occurs when two or more tasks permanently block each other by each task having a lock on a resource which the other tasks are trying to lock. A blocking situation is when the blocking is not permanent, but serve enough to impact the performance of the other tasks. Using the AdventureWorks database, running the following batch in two separate query windows simultaneously will result in a blocking situation. You will notice that the “second” query waits for the first and then executes only after the “first” finishes. Give it a try. Clearly, the process running in window #2 was blocked by the process running in window #1. The most common symptom that such an issue is occurring would be users calling up the support staff screaming about a poorly performing system. Let’s see how we can now identify blocked queries using the features new to Microsoft SQL Server 2005. Before we go any further, let’s ensure that the blocking process thresholds are low enough for us to easily trigger the recognition of transactions as blocking transactions. CAUTION!!! Please do not adjust these settings on your production and Quality Assurance environments without recommendation from a senior database administrator, or from Microsoft. This query can now be given to the development teams with proof that it is indeed, causing performance issues and needs attention. Starting Microsoft SQL Server 2005, the Profiler introduces a new Event Class – Blocked Process Report. The Blocked Process Report event class indicates that a task has been blocked for more than a specified amount of time. This event class does not include system tasks or tasks that are waiting on non deadlock-detectable resources. Let’s see how we can use this to detect blocking & deadlocks. Blocked process threshold uses the deadlock monitor background thread to walk through the list of tasks waiting for a time greater than or multiples of the configured threshold. The event is generated once per reporting interval for each of the blocked tasks. Because our blocked process threshold is set for 5 seconds, a blocked process report has been generated by the blocked process at 5, 10 and 15 seconds of execution time respectively (At the 20 seconds mark, the first process had already proceeded ahead and ended the blockage, which is why it is not seen in the report). Clicking on the individual blocked process report, we see an XML like the one below, which shows the blocked process as the one with SPID (54) and the blocking process to be one with SPID (53). As we come to a close on this demo, we will cleanup the environment by resetting the blocked process threshold value to 0. As systems scale up to the cloud in the coming days; preventing blocking and deadlocks are going to be of utmost importance. It is required that the entire application development process takes into account the fact that ultimately, if the underlying database is struggling to get the data you need in time because of poor application design, no amount of high-end technology and hardware is going to resolve the problem at hand. I hope that the above has given development teams and DBAs a new and easy way to identify and troubleshoot performance bottle-necks in their systems. 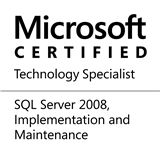 This entry was posted in #SQLServer, Blog, Imported from BeyondRelational and tagged #SQLServer on January 31, 2011 by nakulvachhrajani. THere is another feature in SQL 2008 onwards called Extended Events (Xevents) ..much better than Profiler in this case to obtain the information.